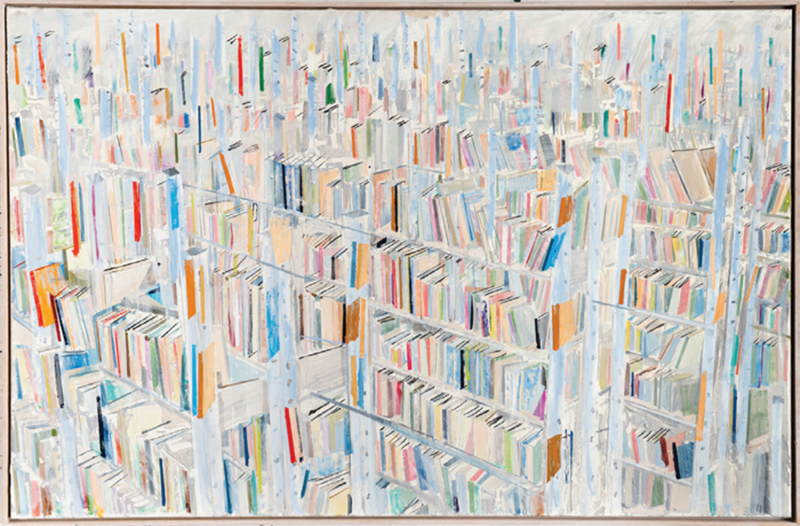 Thomas Hartmann, Ohne Titel (Bibliothek) (Untitled [Library]), 2013, oil on canvas, 47 1/4 x 70 7/8". 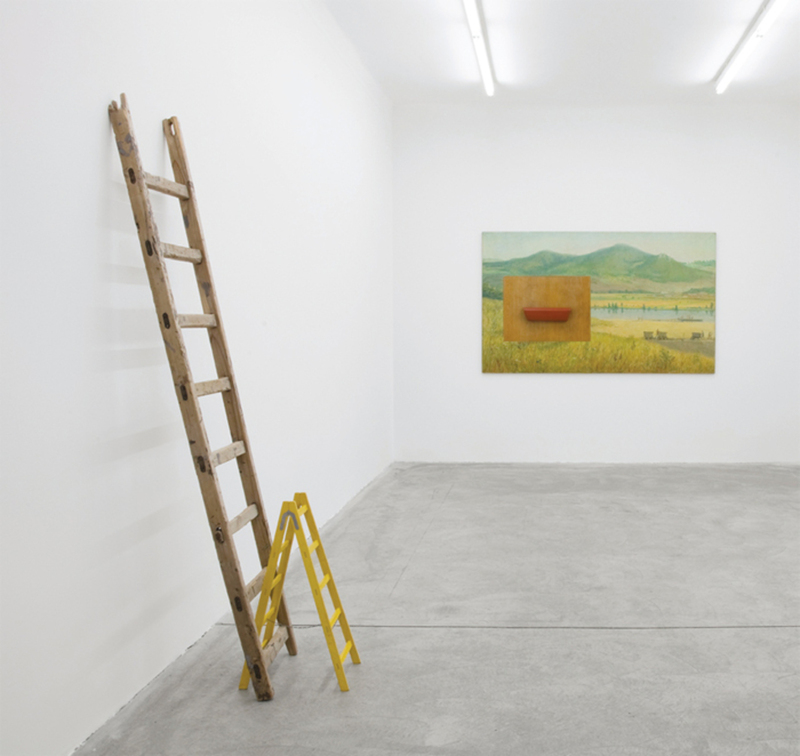 View of “Roman Ondák,” 2014. From left: Third Way, 2013; Mailbox, 2013. Art lovers expecting the unexpected were amply rewarded by Roman Ondák’s recent exhibition “Erased Wing Mirror.” The Slovakian artist is a master illusionist; he famously made an entire Venice Biennale pavilion vanish into thin air, and once organized a fake queue to make it seem as if a vast public were waiting to view his work. This time he unsettled visitors with a nimble sideways move that took him beyond the bounds of such immaterial artistic gestures.